Prime Minister Trudeau has said he would not allow dumping of metals in Canada amid the U.S.'s trade conflict. 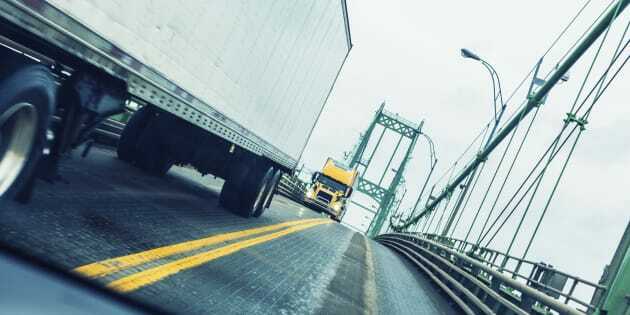 Trucks crossing the Canada-U.S. border at the Thousand Islands Bridge between Ontario and New York State. The federal government is taking steps to crack down on companies that try to ship cheap foreign steel and aluminum through the Canadian market. OTTAWA — The federal government is taking steps to crack down on companies that try to ship cheap foreign steel and aluminum through the Canadian market. In the wake of the U.S.'s tariffs on steel and aluminum — from which Canada has been granted an exemption — fears have grown that Canada could be flooded with cheap metals from abroad. Prime Minister Justin Trudeau had earlier said he would not allow that to happen. The regulatory changes come after a period of uncertainty earlier this month over whether the United States would include Canada in its list of countries that would have to pay steep new tariffs on U.S. steel and aluminum imports. That threat failed to come to fruition following a lobbying effort by Canadian political, business and labour leaders, but the U.S. has suggested the exemption may be tied to the successful conclusion of NAFTA negotiations.